Heat oven to 400°F. Lightly spray 8-inch square baking dish or 9-inch pie plate with cooking spray. 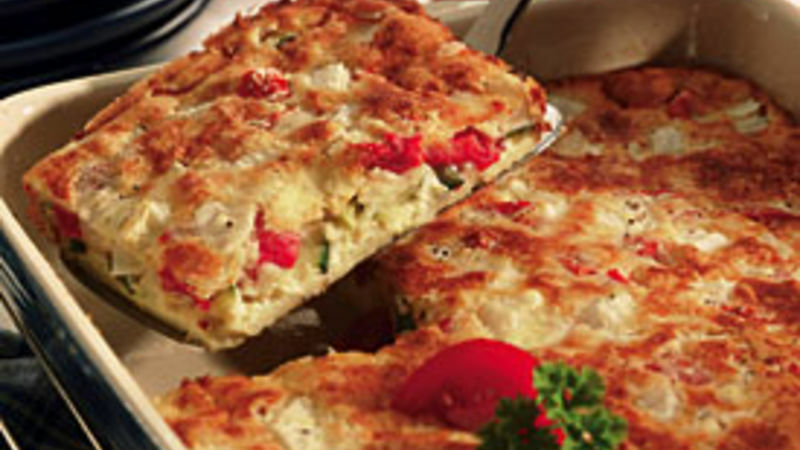 Sprinkle zucchini, tomato, onion and cheese in baking dish. In medium bowl, stir remaining ingredients until blended. Pour over vegetables and cheese. Bake uncovered about 35 minutes or until knife inserted in center comes out clean. Cool 5 minutes.